Skye Bank Plc has appointed Mrs. Amaka Onwughalu as the interim Managing Director of Mainstreet Bank. This is contained in a notice to the Nigerian Stock Exchange on Monday in Lagos. 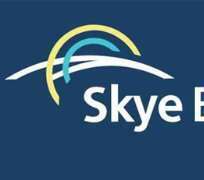 Skye Bank said that Onwughalu would also oversee the affairs of the bank as the Deputy Managing Director. The News Agency of Nigeria reports that the Asset Management Corporation of Nigeria (AMCON) formally handed over the management of Mainstreet Bank to Skye Bank Plc on Dec. 18. The bank also said that directors of Mainstreet Bank had also resigned their appointments on that date. It added that the bank had constituted interim management board that comprised of Onwughalu as managing director and Mr. Dotun Adeniyi as an executive director. The bank said that the interim management board was expected to steer the affairs Mainstreet Bank in the next six months. It also said that the appointments would afford the bank the opportunity to pursue the integration of the operations of the two banks. According to the notice, Onwughalu was appointed to the Board of Skye Bank on November 30, 2008. It described her as an astute bank administrator with over 27 years of experience. The bank added that she rose to the position of acting Managing Director of Reliance Bank in April 2005 till the merger scheme, which gave birth to Skye Bank in 2006. It said that Adeniyi was also appointed to the board on November 30, 2008. It described Adeniyi as a banker with over 28 years' experience spanning corporate banking, commercial banking, retail banking, international trade finance and banking operations. He is currently Skye Bank's Chief Risk Officer. Adeniyi started his banking career as a Trainee Manager with the United Bank for Africa in 1986.